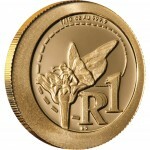 The legal tender 22 carat gold Krugerrand was the brainchild of the South African Chamber of Mine..
African Monarch butter ies are beautiful with vibrant coloured ochre and black wings, decorated w.. The culture and heritage of South Africa’s earliest inhabitants is celebrated on the R2 pure go.. 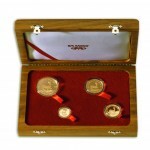 The legal tender 22 carat Gold Coin SOUTH AFRICAN KRUGERRAND 2012 - 1oz was the brainchild of the.. 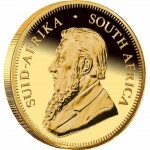 The legal tender 22 carat Gold Coin SOUTH AFRICAN KRUGERRAND 2012 - 1/2 ozwas the brainchild of t.. 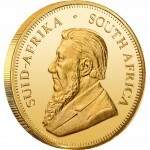 The legal tender 22 carat Gold Coin SOUTH AFRICAN KRUGERRAND 2012 - 1/4 oz was the brainchild of .. 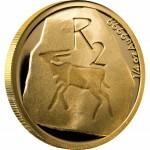 The legal tender 22 carat gold Krugerrand Gold Coin SOUTH AFRICAN KRUGERRAND 2012 - 1/10 oz was t..